Shindo Muso-ryu was founded circa 1605 by Muso Gonnosuke Katsuyoshi, following a pilgrimage he went on through the country (shugyo). This pilgrimage was meant to be lived as a drastic asceticism, consequence of his defeat against the famous Miyamoto Musashi.He had managed to get to the deepest of the Tenshin Shoden Katori Shinto-Ryu tradition and practice (okugi). It was indeed because he had been defeated following a long series of victories in duels, that this warrior entered asceticism. This latter lead him to the Kamado sanctuary, on Mount Homan, in the current Fukuoka state where, after remaining confined for 37 nights and days, he reached illumination (satori). He then was able to create the Jo techniques which allowed him to defeat Miyamoto Musashi during a new duel. 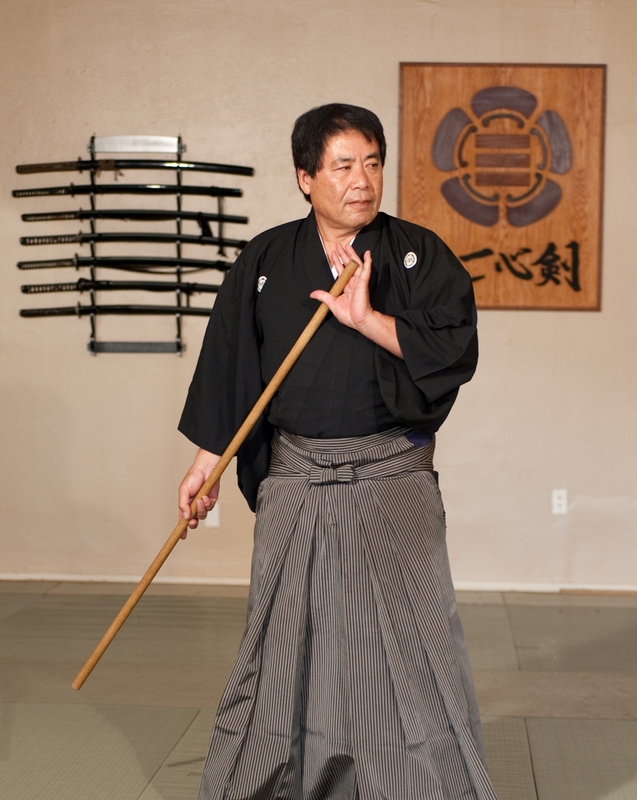 Gonnosuke became responsible for teaching the jojutsu for the Kuroda clan. This tradition was jealously kept secret within the clan as its official secret tradition (otome bujutsu) until the Meiji restoration (1868), when the interdiction to teach this technique outside the clan was waived. In 1940, Shimizu Takaji sensei (the last soke) changed the name of the tradition from Shindo Muso-ryu jojutsu to Shindo Muso-ryu jodo, this latter reflecting better the change of the art, in full agreement with the new orientation of the modern society. We conduct dojo affiliated seminars within the Kokusai Nippon Budo Kai and the Dai Nippon Butoku Kai. These two federations issue our Jodo rank and title certifications through the KNBK hombu and Kyoto, Japan.